The creators of PlayerUnknown's Battlegrounds, in an announcement via Twitter, announced that the latest PUBG Map Vikendi, as promised in the previous month, would make its way to the console versions of the game before the end of January 2019. 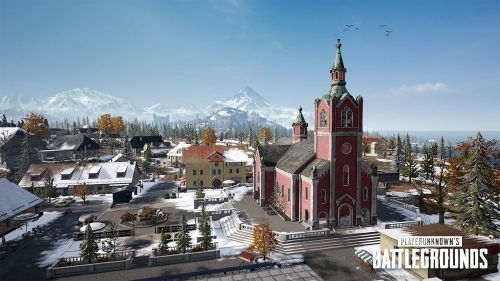 The Vikendi snow map would make its way to Xbox One Live Servers on 22 January 2019, just over a month after the map was initially launched for the PC version of the game. Players interested could currently try the map as it available on Public Test Servers. How to get PUBG Snow Map Vikendi? On the launch day, an OTA update could be released by the PUBG developers, which would include the Vikendi snow map for Xbox Live servers. Follow Sporskeeda for all the latest Xbox One News. There is no official word regarding this aspect from the company behind the PUBG franchise. To offer a balance between the diverse gameplay styles seen in Sanhok, and Erangal and Miramar, the 6 km X 6 km snow-covered snow map was launched in the game. This map is filled with intricate atmospheric features, making it the best-looking map in the entire game. Numerous changes are also seen with the Vikendi map, including the introduction of altered vehicle dynamics and the ability to track footprints and vehicle tracks of other players, which sets up interesting scenarios during Battle Royale matches. Additionally, a new assault rifle and a new Snowmobile are exclusive to the map. Not only that, a brand-new PP-19 Bizon Submachine Gun and Snow Bike will also be launched very soon. PlayerUnknown's Battlegrounds is also available for Microsoft Windows and PlayStation 4. PUBG Mobile, on the other hand, is available for Andoird and iOS devices.